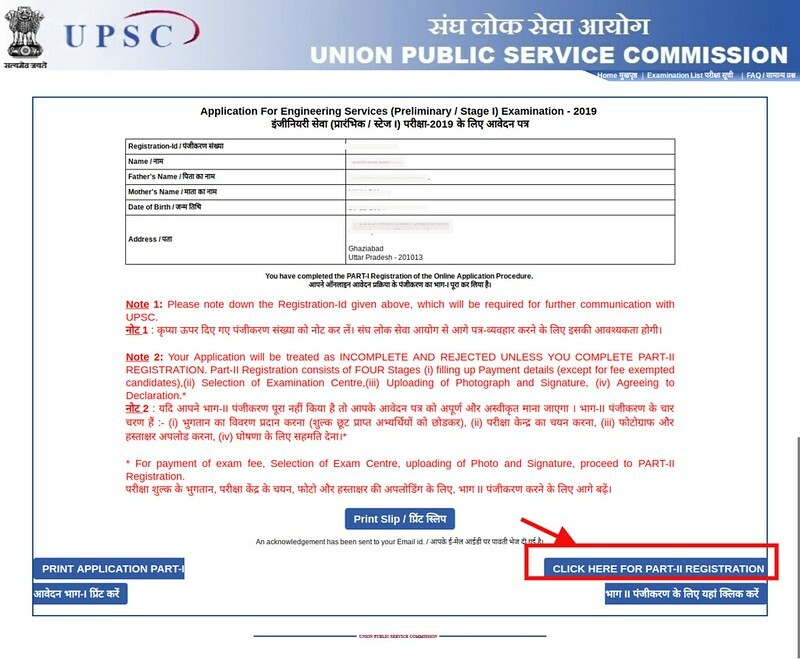 IES Online Application Form 2019 – Union Public Service Commission (UPSC) has declared the preliminary examination IES Result 2019 on February 28, 2019, at upsc.gov.in. 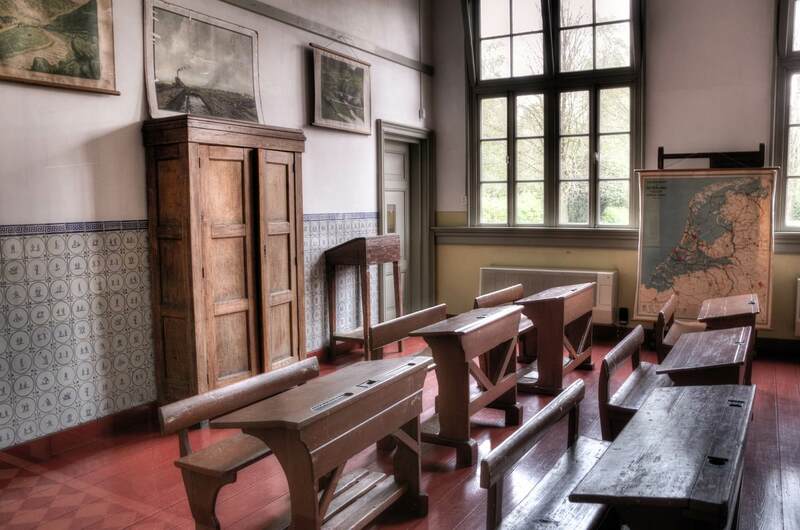 Now the commission will release the Detailed Application Form for the main examination. The qualifiers of the prelims will have to fill the DAF. Till now the releasing date of DAF has not been disclosed. The candidates who will fill the DAF for the main exam on time those will be only called for appearing the main exam. The IES Main Exam 2019 is scheduled to be conducted on June 30, 2019. The application form for IES was released on September 26, 2018, and the last date to fill the form was October 22, 2018. 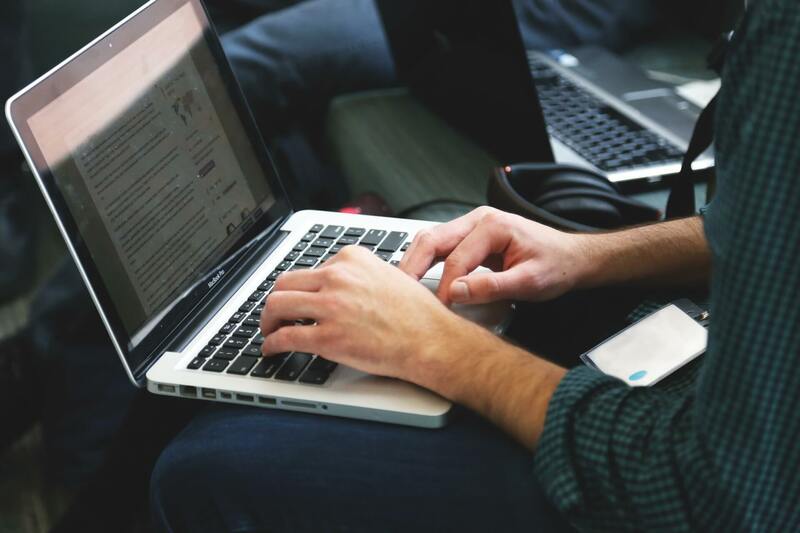 Get here all the details of the IES Online Application Form 2019. Latest: Detailed Application Form (DAF) will be released soon. The candidates can only use online mode for filling up the Detailed Application Form (DAF). In the DAF candidates will have to upload the educational documents. For more information regarding IES Online Application Form 2019 check the schedule given below. Rejected Candidates List: Click here to check the same. Apply Online: Click here to withdraw your application. 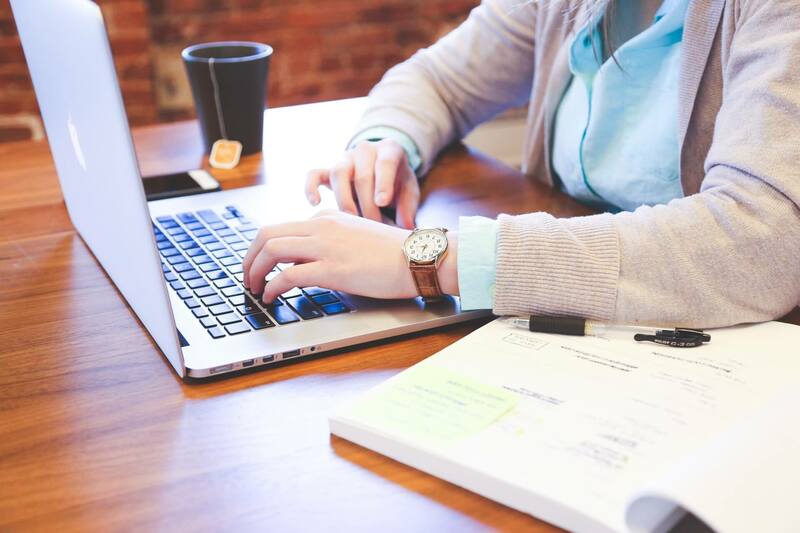 How To Withdraw IES Online Application Form 2019? At first, click on the above link which redirects to the login window of application withdrawing. Now the candidates have to click on the link for “Click here”. 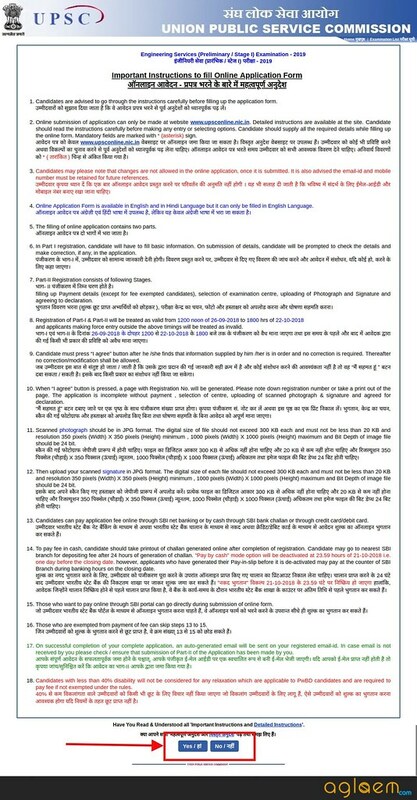 Thereafter instruction page opens. Now click on the “yes” button at the end of the page. Now the login window opens, herein the candidates need to enter the registration number. For Reserved candidates (SC/ST/PWD) and Female candidates, there will be no application fee. The application fee must be paid through online mode only. Mode of payment can be Credit/Debit card or UPI. The application fee is non-refundable. To complete the application process these documents are too necessary. Without these documents, the application process will not be complete. Some of the documents are for only reference purpose while others have to upload in form. Any valid photo identity proof like Aadhaar Card, Voter ID card, Driving License, Pan Card, Passport etc. 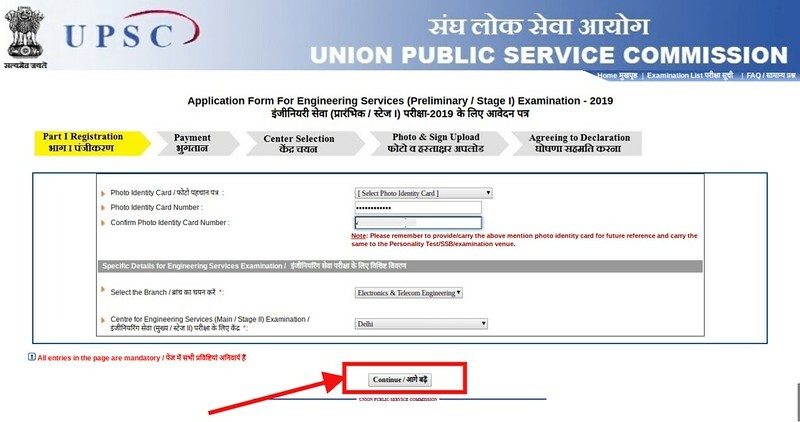 How To Fill IES Online Application Form 2019? As we said above the application form is available in online mode only. The candidates can apply for IES 2019 by following the steps to fill the Application Form listed below. Basically, the application form has two parts. To complete the form candidates need to fill both parts separately. After clicking on the above link the page similar to below image opens. 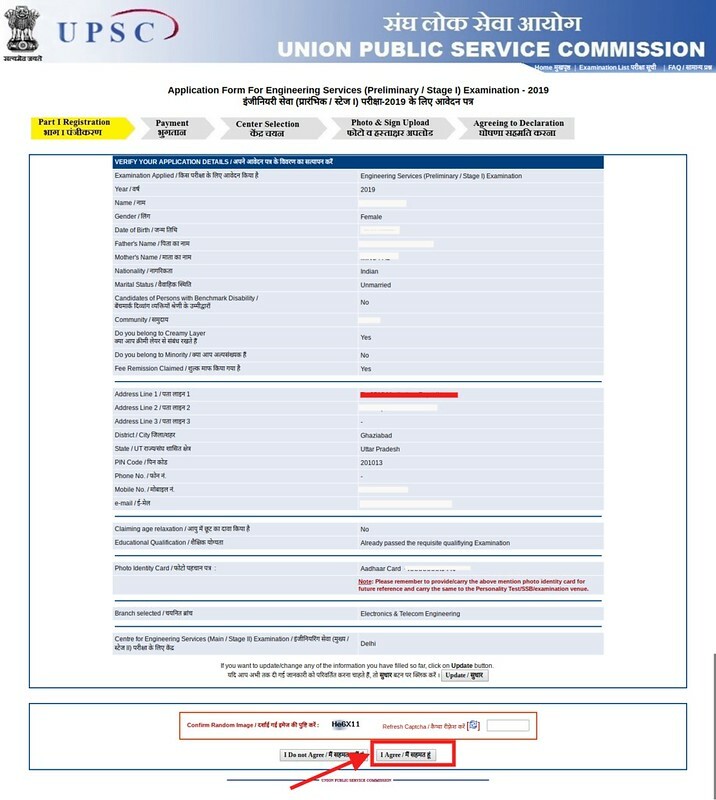 Now Click the link which says “Part – I Registration”. Thereafter the detailed application form opens. As soon as you click on the above link the instructions to fill the form will open. The candidates need to read all the instructions then apply. After submitting all the details the candidates need to submit it by hitting the Continue button. Thereafter the candidates have to choose if he/she wants to claim reservation or not. This is mandatory. After submitting all the details when the candidate presses the continue button, then a preview of the registration page will be shown to him. Now the candidates have to submit it finally then Part II registration begins. At the end of Part I resgration the candidates will be shown the registration slip. Now if they want then they can take the print out of the registration slip. After taking the printout the candidates can proceed for the Part II registration. 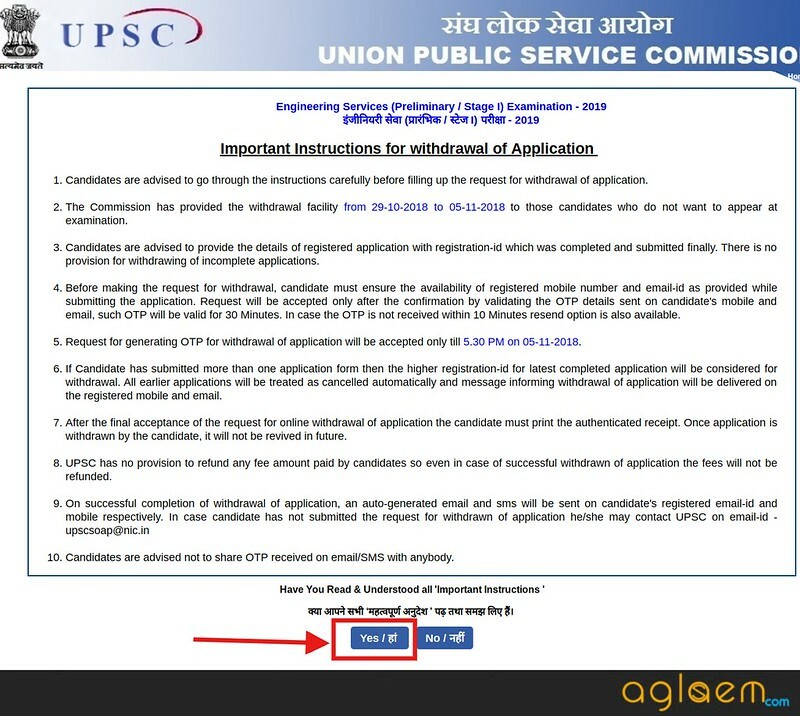 Here candidates need to pay the application fee as per their category. The reserved category candidates and female candidates are exempted to pay the application fee. Rest of the candidates have to submit Rs. 200/- as application fee with available modes. 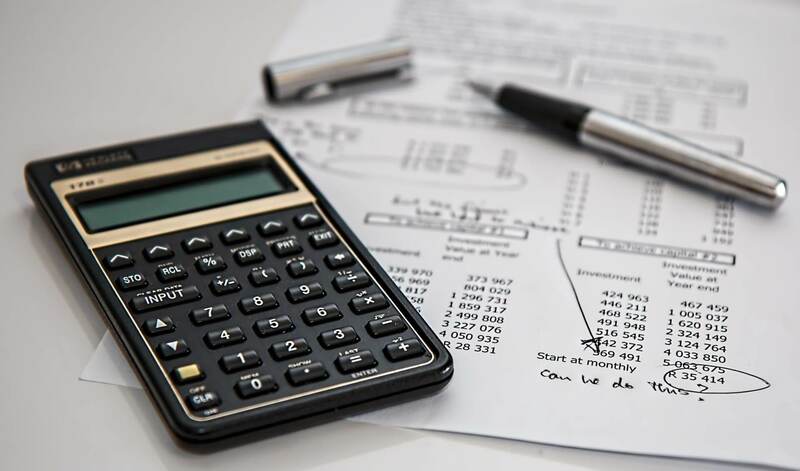 After making the payment the candidates will be shown the list of the states and union territories where the exam will take place candidates will have to choose any one in which they want to appear for prelims examination. Thereafter the candidates have to upload the recent passport size photograph and signature. The format of photo & sign should be jpeg and should not be more than 300KB. At last, the candidates have to agree with the declaration present of the application form. With this the process of application filling completes. It is advised to fill the form carefully, as no chances will be given to re-edit the same. 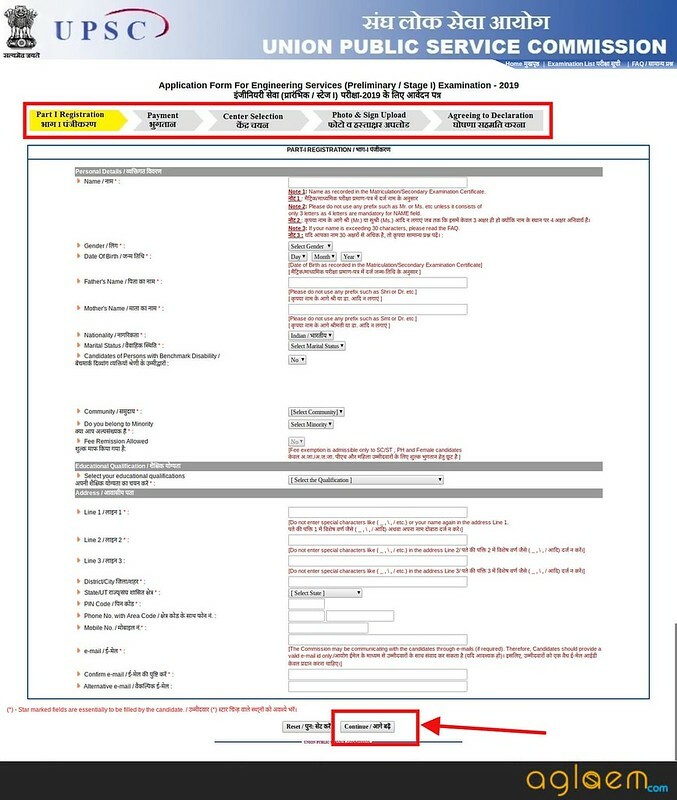 As you submit the application form, a provisional form will appear on your screen. You can take out a printed copy of that for future use.